"People come to the work place with certain predispositions and how they are treated can make them better or worse and can even cause mental problems in those who did not previously have them. 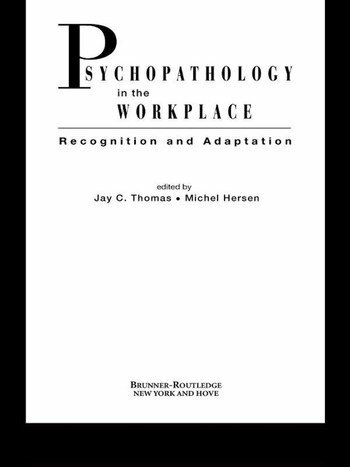 Thomas & Hersen's new edited book Psychopathology in the Workplace, identifies many types of psychological problems that managers and psychologists alike can benefit from learning about. Easy to understand and with a minimum of professional jargon, Psychopathology in the Workplace is an excellent introduction to the field of the clinical psychology of work. Managers and psychologists alike will find much that is of value here.